After a nightmare 2012, Boston is running away with the division thanks to some new additions to the ballclub. First year starters Shane Victorino, Mike Napoli, and Will Middlebrooks are putting up softball numbers, driving in a combined 41 runs since August 25th, leading the team to an 11-3 record over that span. Of those three, the future is brightest for Will Middlebrooks, the 25 year old top prospect who fought his way back into the Big League lineup after a demotion to AAA earlier this season and should be a fixture in Boston for years to come. 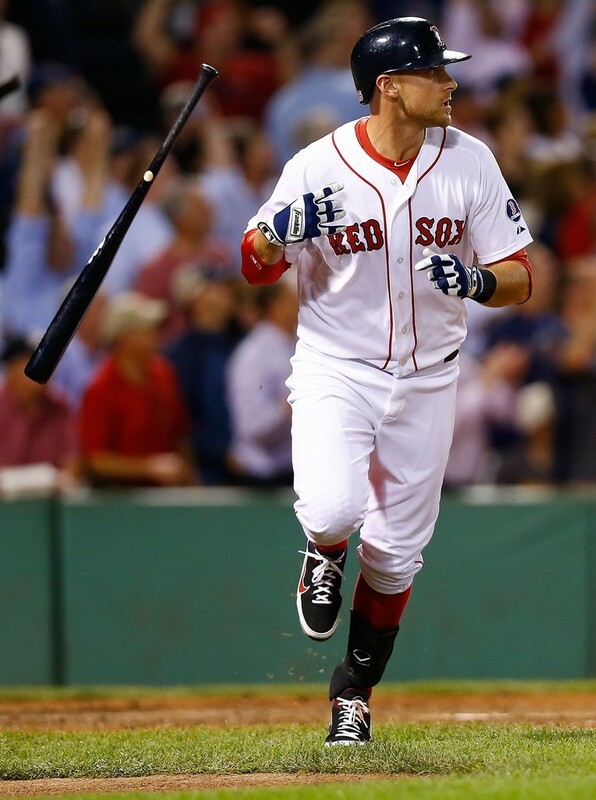 Will Middlebrooks most often swings the Old Hickory TL2, but has recently been seen swinging a Marucci WMB16, a model named for Middlebrooks. We asked Marucci where the model was derived, and they told us its based off David Ortiz’ DO34. The WMB16 is not available, but the DO34 is (in ash). 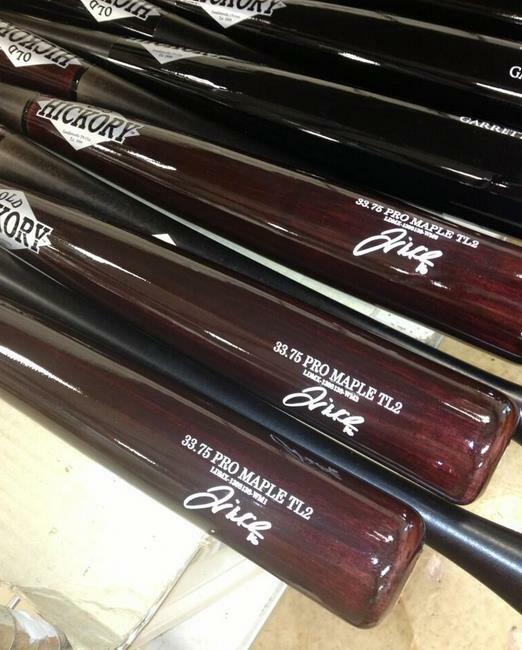 Middlebrooks also swings the TL2 from Old Hickory, a custom model unavailable online. You can check out the rest of Old Hickory’s lineup here. Middlebrooks, like many of the Red Sox, is a Franklin guy. The Stoughton, Massachusetts-based company also makes gloves for Dustin Pedroia and David Ortiz. 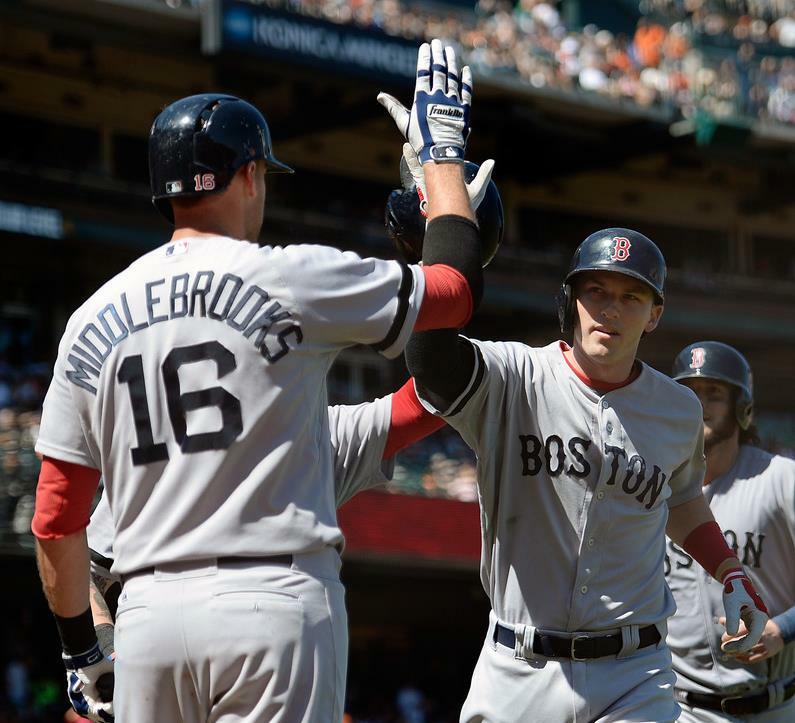 Middlebrooks has most recently been wearing the white/navy Natural II that you see in the photo above. That color is unavailable, but grey/navy is, as well as others. 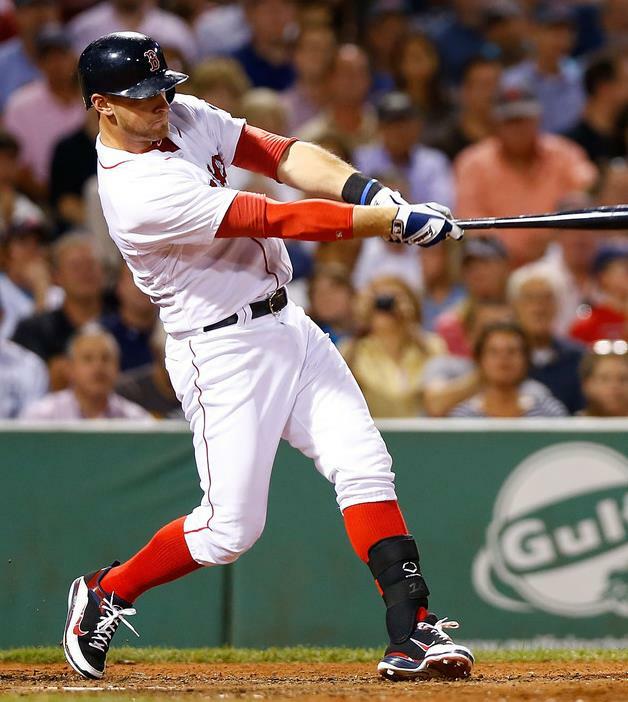 Middlebrooks has also worn some Red Sox inspired CFX Pros, which like Pedroia’s, are custom-made. 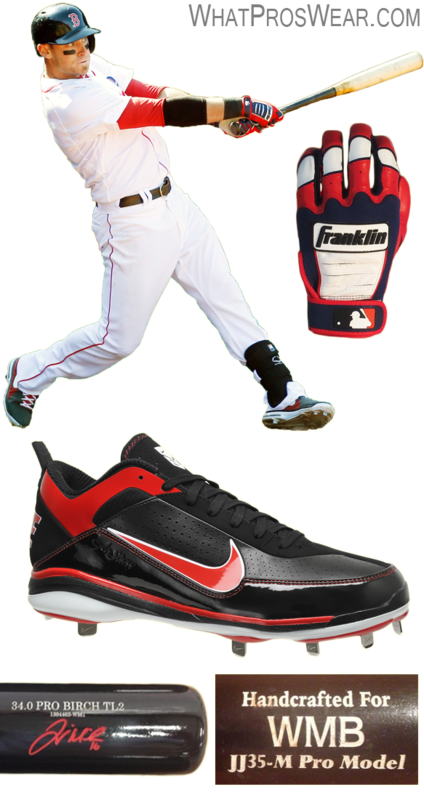 Along with the more colorful versions, Middlebrooks has worn more basic versions like the one below, which are available online. Middlebrooks throws it back to one of my favorite cleats, the Air Show Elite 2. This is a cleat that is no longer in production and as far as we know isn’t worn by anyone else in the pros (at least no one prominent). Middlebrooks are an exclusive colorway, but you can find a ton of these on eBay (and retailers) at good prices.